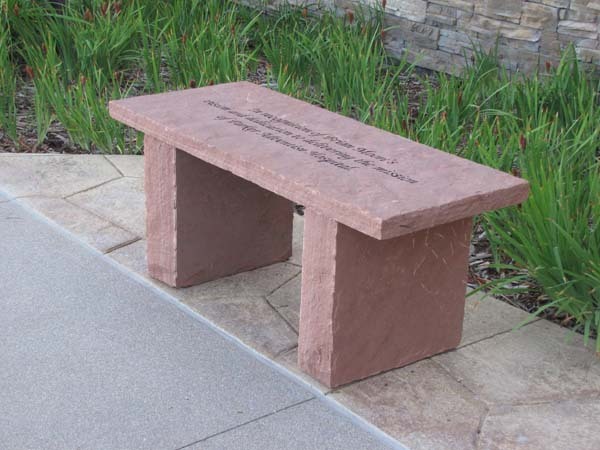 Helping you create a perfect reflection of your loved one's memory with our beautiful natural looking custom inscribed memorial benches. 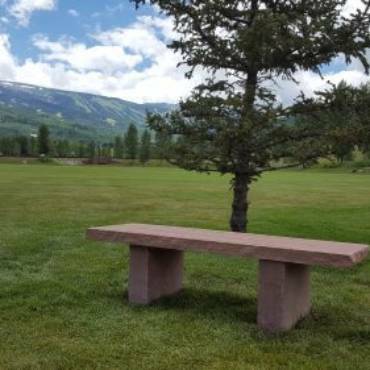 So much more appealing than the look of polished granite or concrete and made right here in the U.S.A. 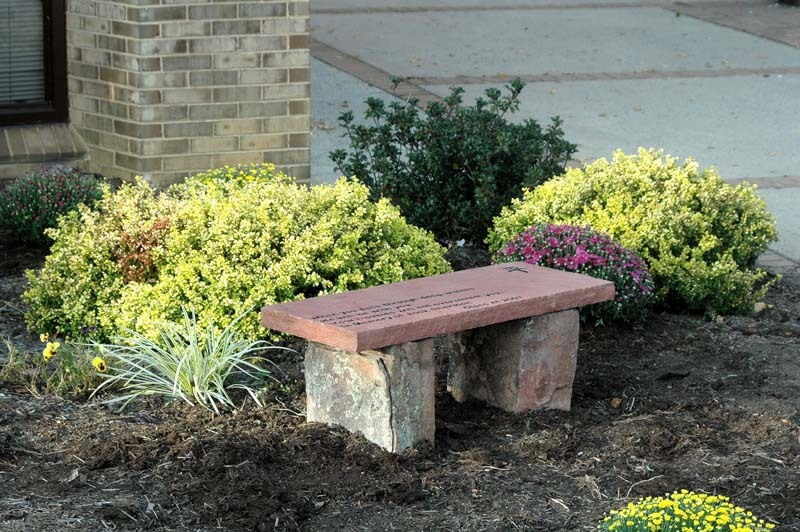 Create a “Healing Garden” with our beautiful personalized memorial benches. 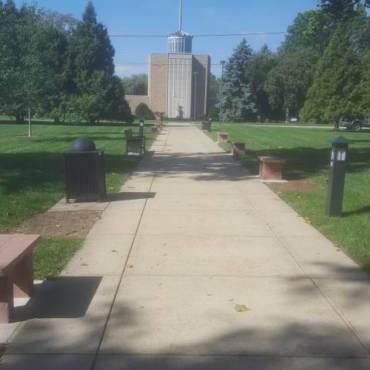 From universities like Notre Dame, to regional high schools and public schools, we are proud to have served school communities across the US. 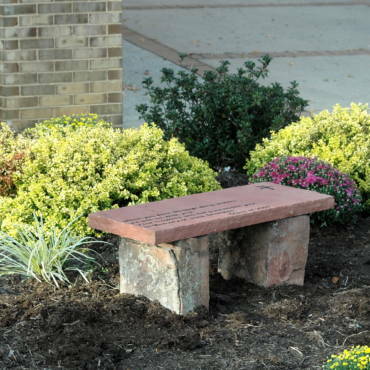 Our benches have been used in million-dollar building campaigns for churches across the country. 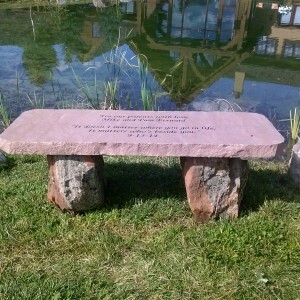 Personalized Inscription included on all benches. 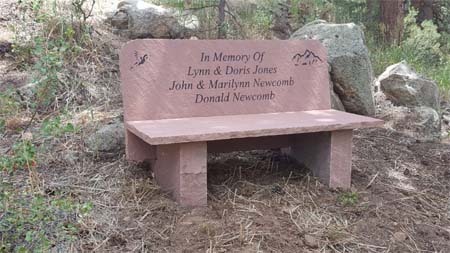 I wanted to let you know how much we appreciate the beautiful bench you installed for mom. 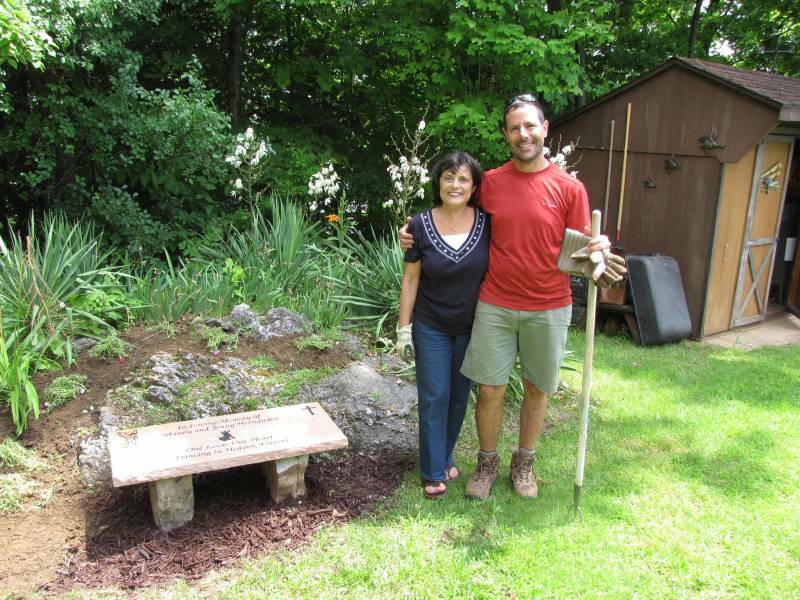 On Earth Day, the Classics Department at UNCA had a dedication for the Ancient Garden. 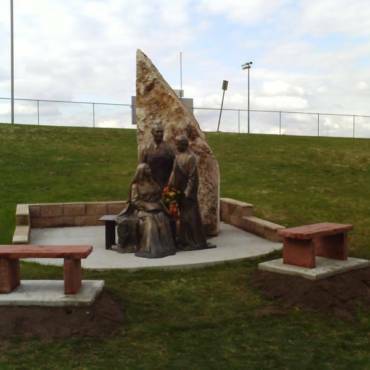 It will now be named after her. 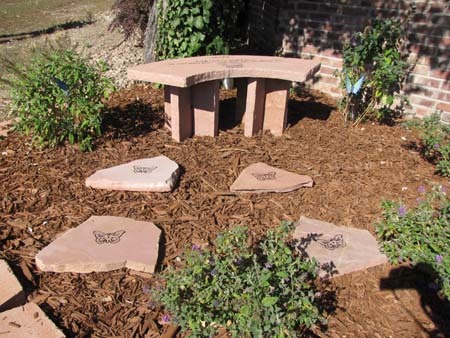 We planted flowers and placed the stepping stones. 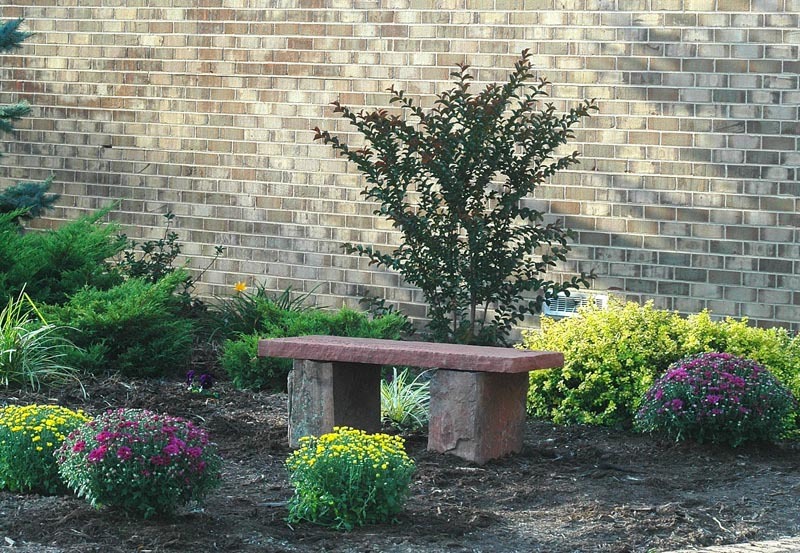 I’m attaching a few photos so you can see the perfect setting for her bench. 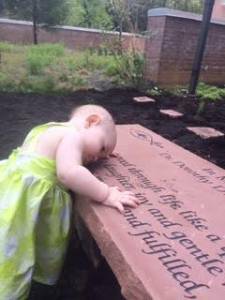 This one is of her granddaughter, who is named after her. From the Top of the Rocky Mountains. Made in the Good Ole U.S.A.! 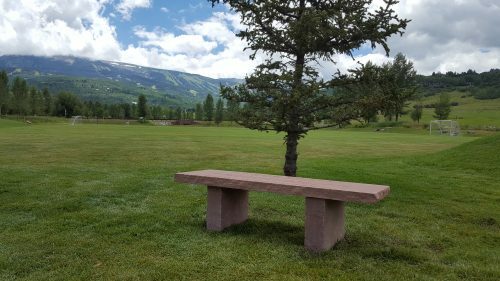 Frequently asked questions about our custom natural stone memorial benches. 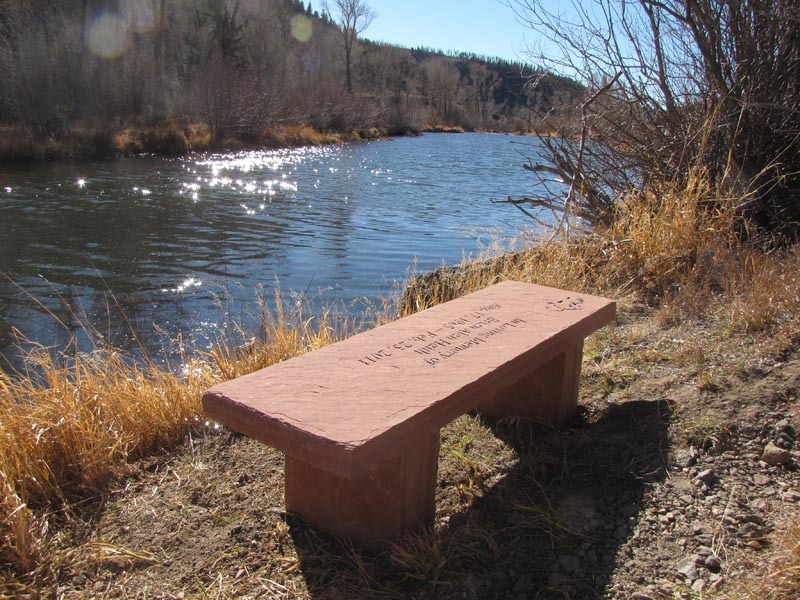 The Most Beautiful Natural Looking Memorial Benches you can find anywhere! 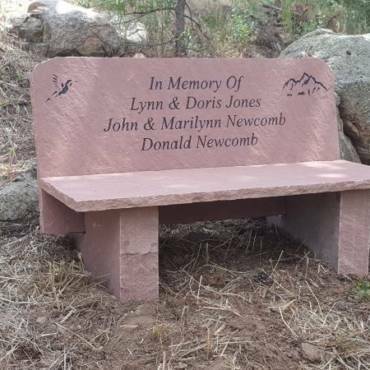 Since 1999 I have been helping people remember their loved ones with beautiful custom natural stone memorial benches.